Developer Proud Dinosaurs is thrilled to announce its debut title, the 2.5D puzzle platformer Macrotis: A Mother’s Journey, is now available on Steam. Follow the journey of a mother bilby as she attempts to reunite with her family, Macrotis takes players on an emotional and challenging adventure. Set in a fantasy world devastated by a terrible hurricane, Macrotis presents players with thought-provoking puzzles of varying difficulties. Stopping at nothing to fulfill her quest to find her family, mother bilby uses both natural and magical abilities to overcome the dangers in her way. 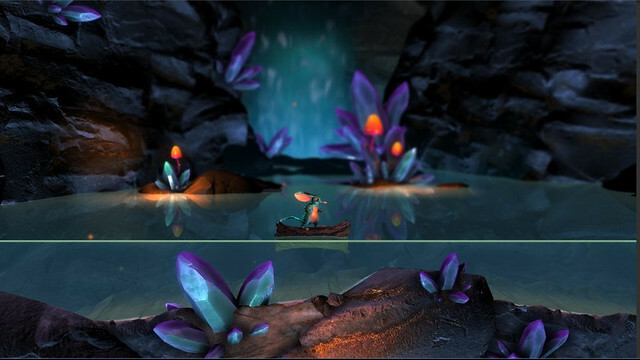 Players will utilize her bilby skills and even gain magical abilities such as astral projection as well as using water physics to solve the puzzles put in mother bilby’s path. Macrotis features classic platformer level design and a fully-voiced, rich story and soundtrack. The world of Macrotis unfolds as players guide mother bilby through levels of enchanting scenery as she conquers various obstacles including the rampant and dangerous flooding that the hurricane has left in its wake. Players ready to embark on the emotional journey with mother bilby can pick up Macrotis: A Mother’s Journey on Steam now for $9.99.